Jack Johnson (March 31, 1878–June 10, 1946) was an American boxer who became the world's first African-American heavyweight champion. He came to fame during the Jim Crow era, when the South was still racially segregated. 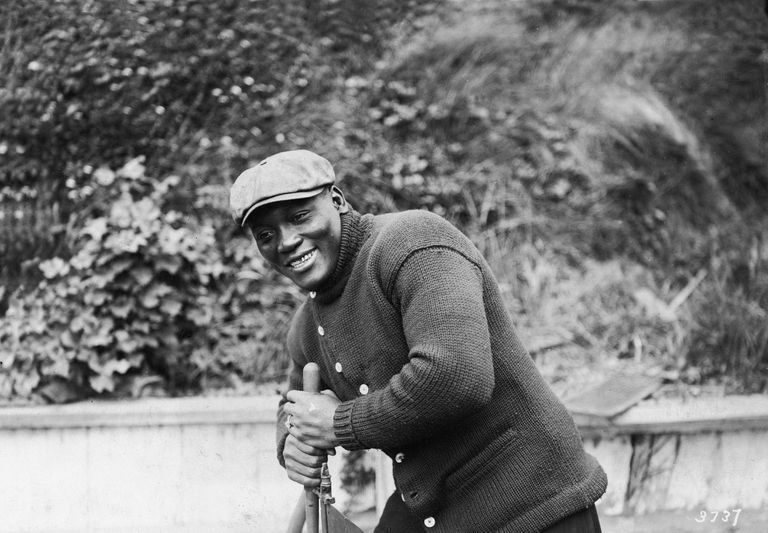 Johnson's success in the ring made him one of the most famous African-Americans of his time. Known For: Johnson was an African-American boxer who reigned as the heavyweight champion from 1908 to 1915. Jack Johnson was born John Arthur Johnson on March 31, 1878, in Galveston, Texas. His parents, Henry and Tina Johnson, were former slaves; his father worked as a janitor and his mother worked as a dishwasher. Johnson left school after only a few years and went to work at the docks. He later moved to Dallas, where he first began learning how to box, and then Manhattan, where he roomed with boxer Barbados Joe Walcott. Johnson eventually returned to Galveston, where he participated in his first professional match on November 1, 1898. Johnson won the fight. Johnson boxed professionally from 1898 through 1928 and in exhibition matches until 1945. He fought 113 fights, winning 79 matches, 44 of them by knockouts. He defeated Canadian Tommy Burns on December 26, 1908, in the World Boxing Championship held in Sydney, Australia. This began a quest to find a "Great White Hope" to defeat him. James Jeffries, a leading white fighter, came out of retirement to answer the challenge. The ensuing match—known as the "Fight of the Century"—took place on July 4, 1910, in Reno, Nevada, in front of a crowd of 20,000 people. The fight went on for 15 rounds, with Jeffries growing wearier and wearier. He was even knocked down—for the first time in his career—twice. His team decided to surrender to save Jeffries from having a knockout on his record. The Johnson-Jefferies fight was filmed and became one of the most popular motion pictures of the era. However, there was a strong movement to censor the film, as many people did not want to publicize the news of Johnson's victory. Johnson won the heavyweight title when he knocked out Tommy Burns in 1908, and he held onto the title until April 5, 1915 when he was knocked out by Jess Willard in the 26th round of the World Championship fight in Havana, Cuba. Johnson defended his heavyweight championship three times in Paris before his fight against Jess Willard. He continued boxing professionally until 1938, when, well past his prime, he lost his final match to Walter Price. Johnson was known for his defensive fighting style; he preferred to gradually wear down his opponents rather than going for a knockout. With each passing round, as his opponents became more exhausted, Johnson would ratchet up his attacks until going for the final blow. Johnson received bad publicity because of his three marriages, all to Caucasian women. Interracial marriages were prohibited in most of America at the time. He was convicted of violating the Mann Act in 1912 when he transported his wife across state lines before their marriage and was sentenced to a year in prison. Fearing for his safety, Johnson escaped while he was out on appeal. Posing as a member of a black baseball team, he fled to Canada and later to Europe and remained a fugitive for seven years. In 1920, Johnson decided to return to the U.S. to serve his sentence. It was during this time that, searching for a tool that would tighten or loosen nuts and bolts, he made improvements to the design of the monkey wrench. Johnson received a patent for his innovations in 1922. After his release from prison, Jack Johnson's boxing career declined. He worked in vaudeville to make ends meet, even appearing with a trained flea act. He opened a night club in Harlem in 1920; it was later purchased from him and renamed the Cotton Club. Johnson wrote two memoirs, "Mes Combats" in 1914, and "Jack Johnson: In the Ring and Out" in 1927. Johnson died in an automobile accident on June 10, 1946, in Raleigh, North Carolina, at the age of 68. He was buried in Graceland Cemetery in Chicago. Johnson was inducted into the Boxing Hall of Fame in 1954, followed by the International Boxing Hall of Fame in 1990. His career inspired numerous people, including heavyweight champion Muhammed Ali and jazz trumpeter Miles Davis, who recorded an album in 1971 called "A Tribute to Jack Johnson." The 1910 film of Johnson's famous fight against James Jefferies was added to the National Film Registry in 2005. Johnson's life was the inspiration for the 1970 film "The Great White Hope." Johnson, Jack. "Jack Johnson: in the Ring and Out." Kessinger Pub., 2007. Ward, Geoffrey C. "Unforgivable Blackness: the Rise and Fall of Jack Johnson." Yellow Jersey Press, 2015.